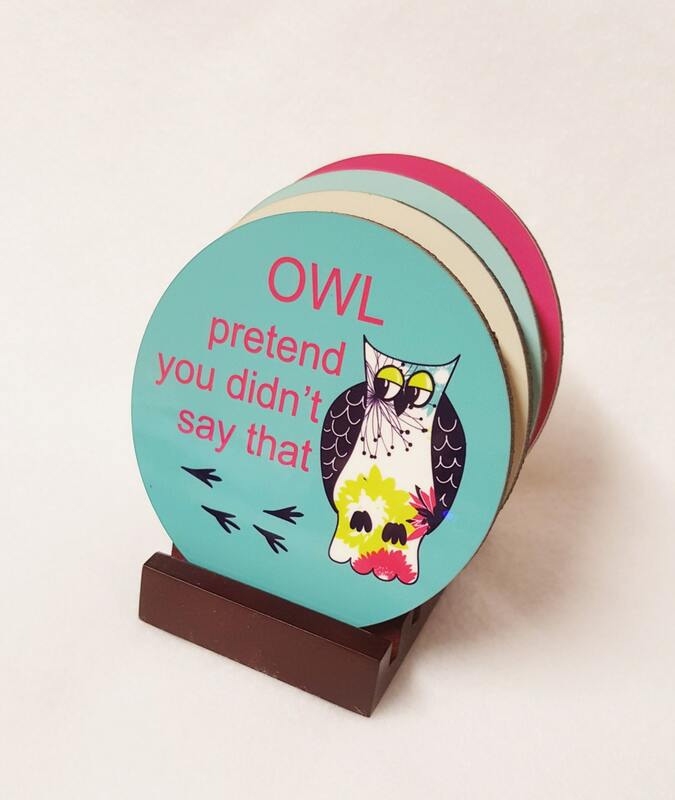 This owl coaster set consists of four (4) different owl coasters. 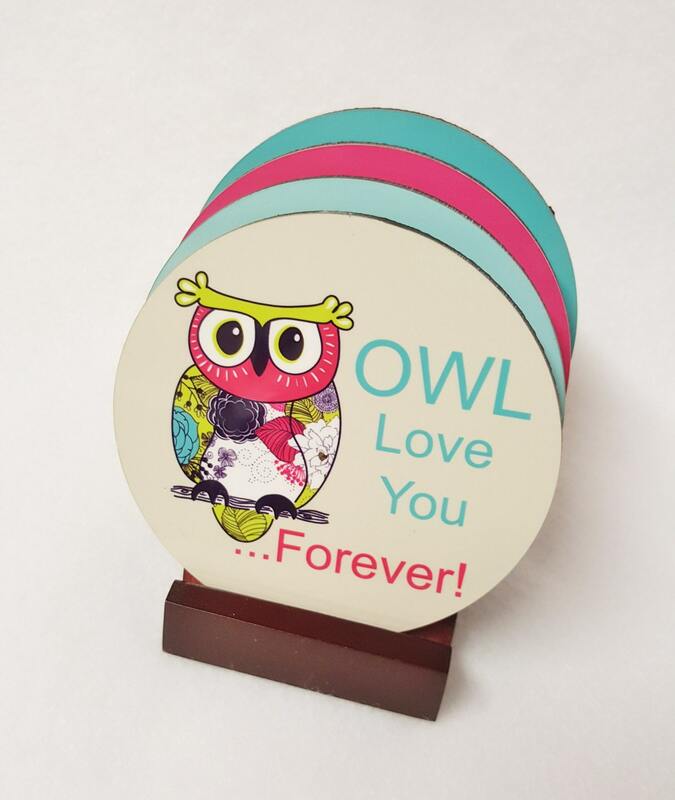 A wonderful gift for an owl lover! 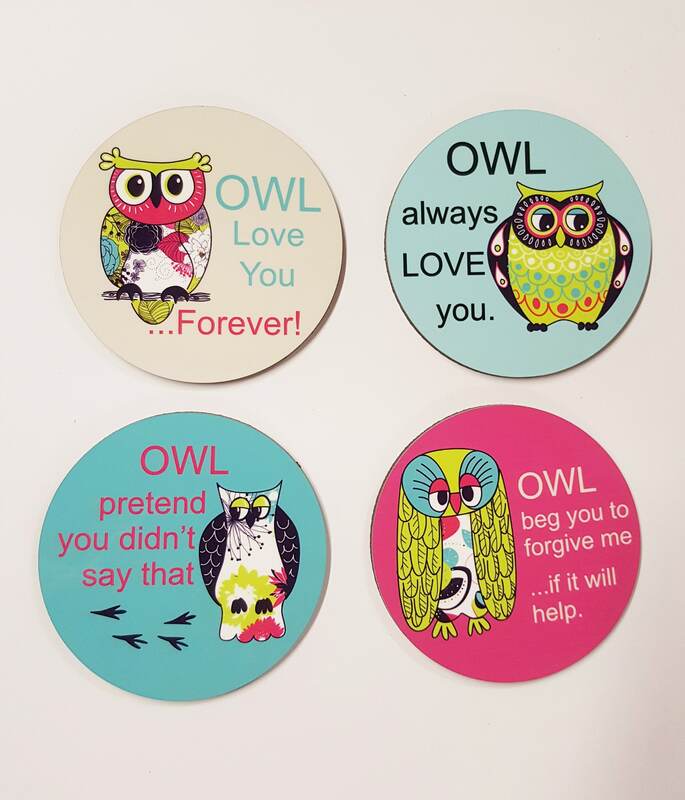 Each saying like "Owl love you forever" and "Owl pretend you didn't say that" are matched with the perfect owl expression. 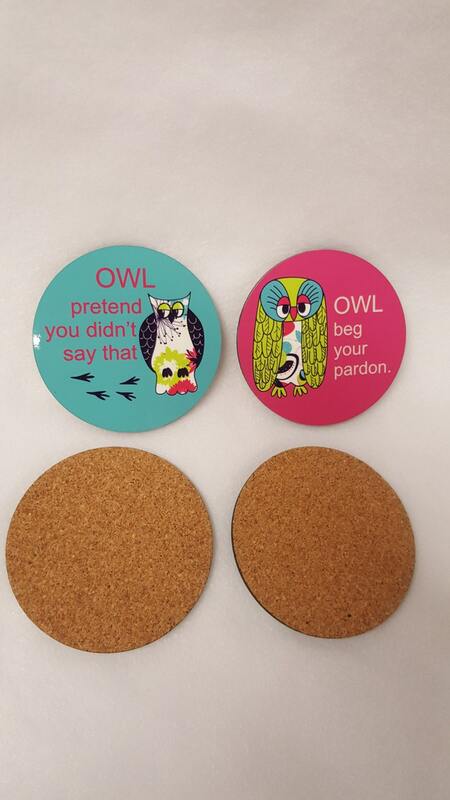 These cute owl accessories are perfect for teen or adult alike. 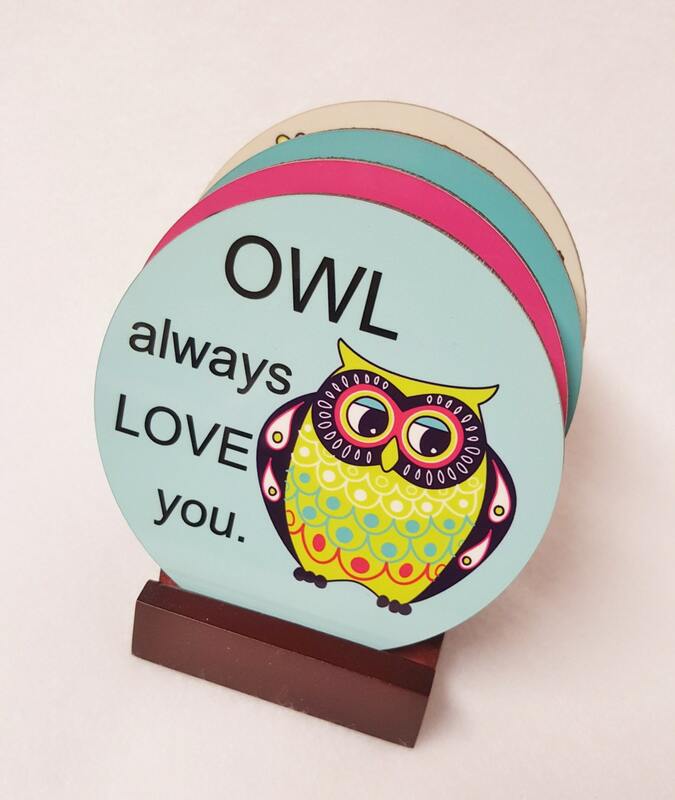 Our coasters with whimsical owls will brighten anyone's day. 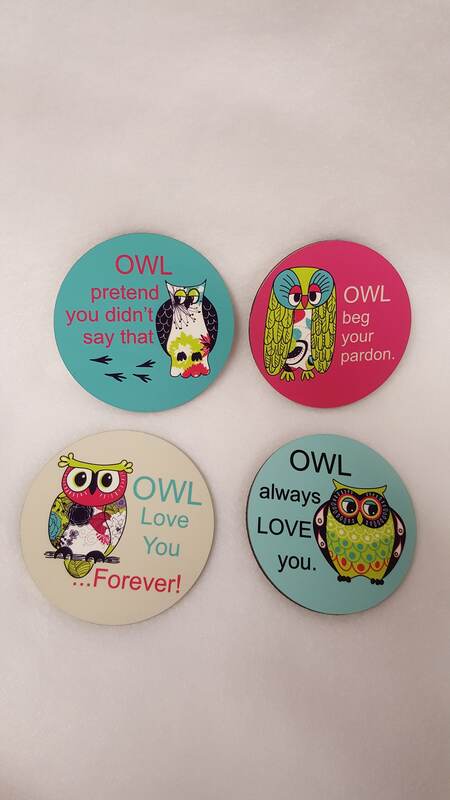 This set of four owl coasters may be purchased with or without the stand. Please indicate your preference when placing your order. We will be listing the coasters separately in the near future. In the meantime, if you'd like to purchase them individually or prefer a set with all the same design, please just ask.